Bitter Cucumbers – What to Do? It’s the rare gardener who hasn’t experienced growing a bitter cucumber. Few things are as frustrating as tending your vegetables all season long, only to finally harvest them and find out they don’t taste very good, when you get them to the table. Cucumbers are know for being prolific, sometimes to the extreme. But what good is a bounty of cukes if they aren’t edible? Unfortunately you can’t tell if a cucumber is becoming bitter, while it is still growing and there’s something you can do about it. That’s why it is so important to take some preemptive steps to keep them from becoming bitter int he first place. 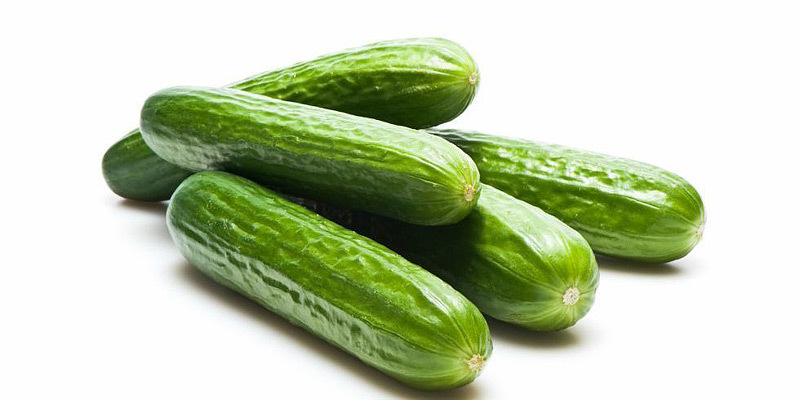 Cultivated cucumbers all contain cucurbitacin B and cucurbitacin C, coumpounds that are supposed to make their leaves less tasty to munching animals. These compounds are usually confined to the leaves, stems and roots of the plants, where humans don’t notice them. It’s when they move into the fruits that we start detecting a bitter taste. Usually it is not the whole fruit that turns bitter. More commonly, the bitterness will be concentrated at the stem end and the area right under the skin. There is still some disagreement about what causes the bitterness to spread into the fruits, but it seems to point to some type of stress while the cucumbers are growing. So although we cannot correct the problem after the fact, we can try and avoid the following 3 growing conditions that are potential culprits of bitter cucumbers. Dry Conditions: Long periods of hot, dry weather can contribute to bitter cucumbers. There’s not much you can do to control the heat, but keeping your cucumbers well watered will help offset the bitterness. 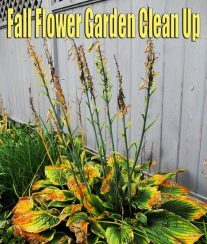 Give them at least an inch of water per week, more during extreme dry spells, and mulch the area around the roots, at planting time. Lean Soil: Another factor in bitter cucumbers is lean soil and a general lack of nutrients. Cucumbers are heavy feeders and a soil rich in organic matter will go a long way toward producing less stressed, better tasting cukes. 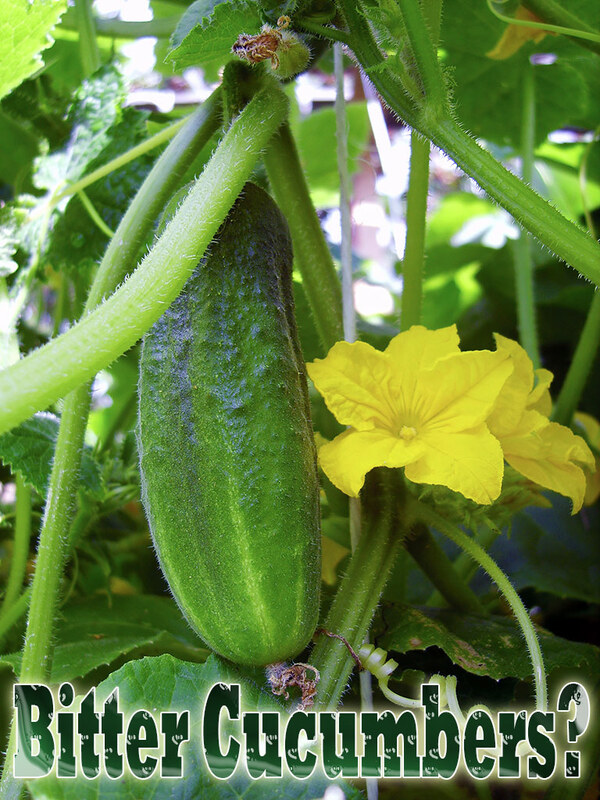 If your soil is less than ideal, give your cucumbers a little fertilizer every 4-6 weeks. Lack of Sun: Overcast areas, like the Pacific Northwest, have reported bitter cucumbers due to lack of sun. Again, you can’t control the hours the sun will shine, but you can plant in a spot that gets as much sun as nature will allow. If it’s cool and damp, as well as overcast, growing your cucumbers under cover, like a poly tunnel, will amplify the available heat and light. So even though cucumber plants grow rather easily and you can get a prodigious harvest from a couple of plants, to get quality as well as quantity you still need to provide them with good growing conditions: plenty of sunshine, regular watering and rich soil. Finally, look for varieties that are well suited to your area that are labeled ‛non-bitter’. Some reliable varieties are: ‛Armenian’, ‛Diva’, ‛Eversweet’ (any variety with “sweet” in the name), ‛Improved Long Green’ and ‛Lemon’. As with all plants, edible or otherwise, the real trick to healthy, productive plants is to research what growing conditions the plant prefers and doing your best to provide them. Even a few days of stress can cause a ripple effect of damage. 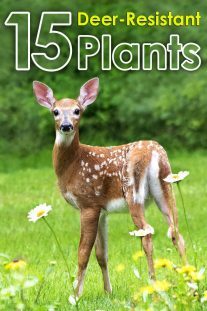 Ornamental plants will probably recover, but you only get one chance to get it right with vegetables and other edible plants. 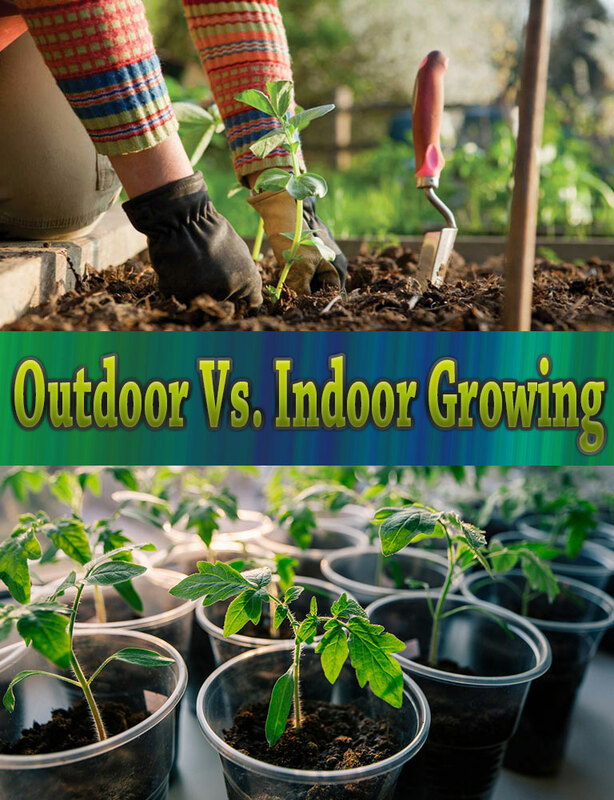 That’s why it is so important to put some though into choosing both your growing site and your vegetable varieties. If you find yourself with bitter cucumbers, don’t automatically reach for the compost bucket. Peeling the fruit should improve the flavor. Then try a slice toward the center of the cuke and see if it is sweeter. You should be able to salvage more than enough for a salad. And as soon as you notice a bitter cucumber, take the precautions above to ensure the rest of your harvest doesn’t suffer the same fate.